Welcome to WHPS Go-Dai Karate School; a karate school for junior grades (under 16's)! Training fees are payable every 15 weeks in advance at £37.50 = £2.50 per week! 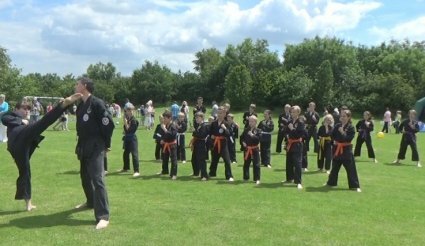 WHPS Karate School was formed in 2004 by Sensei Nigel B Briggs, 5th Dan to enable karate and the martial arts to be learned by younger students in comfortable surroundings at a weekend, which does not affect other school related activities (especially getting up the next morning!). We are a non-profit making organisation - all training fees are paid into the WHPS school budget. So far, we have raised £40,331 for the school! We believe that teaching these life skills to children at a young age can have a tremendous effect on the outcome of their lives and how successful they become.